SCCA Autumn 10 No.2 2018. The sun shone on the 17th and penultimate round of The SB Sports Injuries Series at Waters Upton with some fine times recorded despite a stiff wind – but bizarrely no further medals were settled, meaning five County awards are in play as the final round sees things going down to the wire. The second SCCA Autumn 10 saw a good field of 30 in competition with some shocks at the head of the standings. Taking the overall win was a rider visiting from south Shropshire for the second week in a row – but after finishing third in Round 16 Steven Prince went two better this time out. Prince stopped the watch on 22 minutes 58 seconds, two seconds down on his excursion in the wet a week earlier, though that wasn’t the major concern for a rider more used to competing against gravity. He stated: “I was really pleased with the win. It was hard going out with the wind a lot stronger than it looked, it was easier going in the rain last week I think! A good confidence boost before the Shelsley Walsh hill climb next week. Thanks to all the marshals and timekeepers for putting it on“. 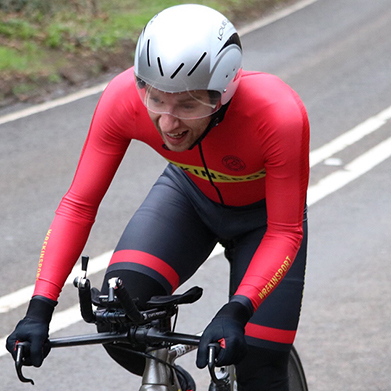 Prince also added third Veteran to his haul with a fine +3:11, but he wasn’t the only shock winner as Mid Shropshire Wheelers Junior James Satoor took County honours to add to the Junior win in his first appearance in the SB Series. 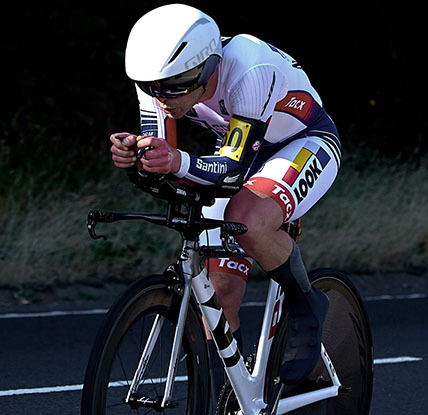 The 15 year-old posted an excellent time of 23:16 to beat Junior Series Gold medallist Henri Bedford by 61 seconds and claim a superb Overall runner-up spot and was pleased with his afternoon’s efforts, commenting: “I really enjoyed riding another time trial. It was deceptively windy as well which made it hard, but I was happy to get second overall and first Junior! Thanks to all the marshals and organisers for a great event, I look forward to riding the final one next week“. Taking Overall third thanks to a huge personal best was Wrekinsport’s Allan Henderson, crossing the line in 23:29. Henderson was delighted with his afternoon’s work, with some serious training sessions paying dividends. 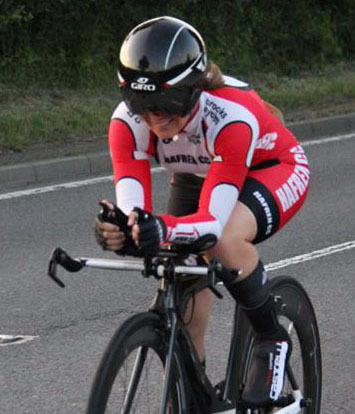 He commented: “I am over the moon to get third, and it’s a bonus PB for me as well by 24 seconds, so really pleased with that. The tough turbo sessions of the last month have really helped to bring things on. Cheers to all who organised yet another great race“. 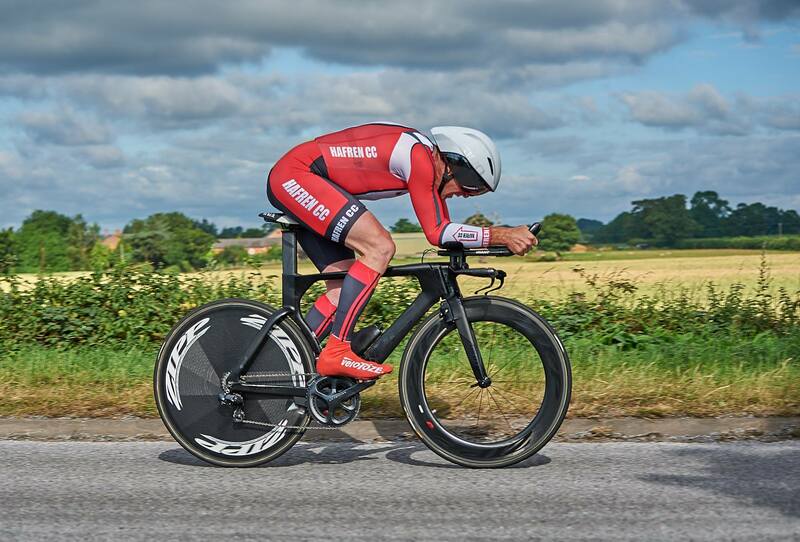 Experience won the day in the Veteran’s Series, with the 20 points gained by North Shropshire Wheeler Dave Wilson moving him into a mouth watering shootout for Veteran’s Bronze, with any one of eight riders in contention for that medal. 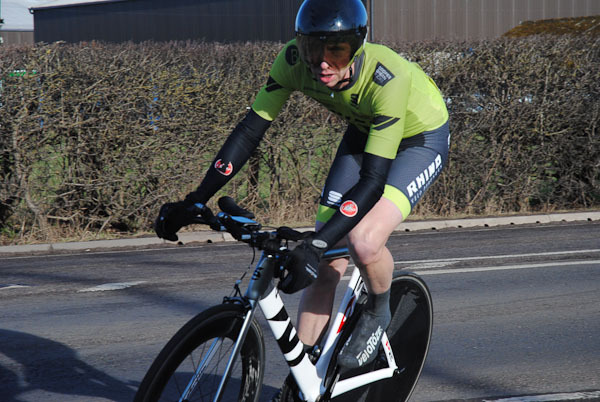 76 year-old Wilson was just one of five over-70 riders in competition, finishing with an excellent +4:10 despite suffering in the head wind that affected the return leg from Hodnet. He stated: “It was a little windy on the way back so my time could have been a little better than it was – maybe next time. It was good to see such a good turn out for the race. Thanks to all the marshals and other officials for their time on the day“. Wilson edged out Mid Shropshire Wheeler Tony Harvey, another rider who is also challenging for that Veteran’s Bronze, lying just two points behind Wilson’s tally. Harvey took Veteran’s runner-up on the day with +3:18, arriving at the start as the event was just about to start and thus benefiting from the resulting adrenalin rush. He stated: “Despite a rush to get to the start on time I enjoyed the race and paced my effort well despite the breezy conditions. Some minor position changes worked well – just what I needed to encourage me to get some proper training in over the winter! Good times by the winner and the Veteran on Standard. Super to see the Private SCCA members out in force to make the event happen. Thanks to all clubs and volunteers who make the SCCA race calendar the envy of many Districts“. In the SB Women’s Series Silver medallist Helen Tudor knocked seven seconds off her Round 16 time to post a fine 27:04 and cement her medal with a win over Tanya Samuels 2:10 back. Tudor commented: “It was good to be racing in the sunshine, but the wind made in tricky. Thanks to all who marshalled“. The 18th and final round takes place on Saturday at 3pm on the same 10 mile Waters Upton – Hodnet course. HQ is Ellerdine Village Hall, with all welcome.